The name HINDUSTHAN appears on some of their original sales brochures. Hindustan Motors was founded by the Birla brothers in 1942, with the intention of building Morris based cars for the Indian market. Their first car was the Hindustan Ten introduced in 1946, which was a version of the 1140cc Morris series M. This was followed by the Hindustan 14, based on the MO series Morris Oxford and the Morris Minor copy 'baby' Hindustan with either an 803cc or a 948cc engine. A version of the Morris Oxford series II followed, fitted originally with a side valve engine and later with overhead valves, when it became known as the Hindustan Ambassador. The Ambassador evolved through the Mark II in 1963, the Mark III in 1975 and the Mark IV in 1979, when petrol engines of 1489cc, 1760cc and a 40hp diesel were available. A version of the 1972 Vauxhall Victor FE was put into production in 1984 and Hindustan gave it the name Contessa. 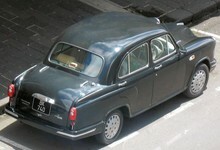 It was fitted with the same 1.5 and 1.8 litre engine options as used in the Ambassador Mark IV. During the 1950's, Hindustan built Studebakers under licence, the main one being the Studebaker Champion from 1939. In 1960, Hindustan themselves designed a fibreglass bodied, 2-cylinder, 2-stroke, front wheel drive mini-car, but it never went into production. A utility Jeep style vehicle called the Trekker was introduced in 1977, powered by Ambassador engines.